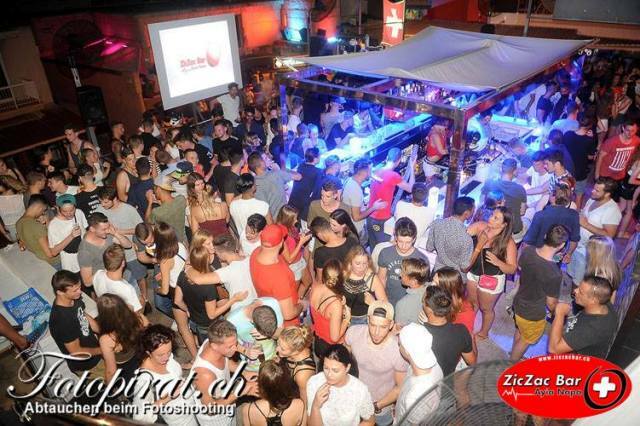 Zic Zac Bar is located at the top of Katalymata Street, very close to the centre of Ayia Napa. 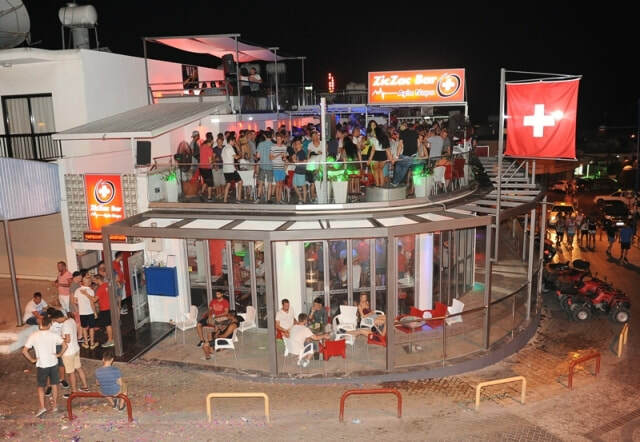 It has been open since 2002 and features an air conditioned downstairs bar area plus an open air rooftop terrace. 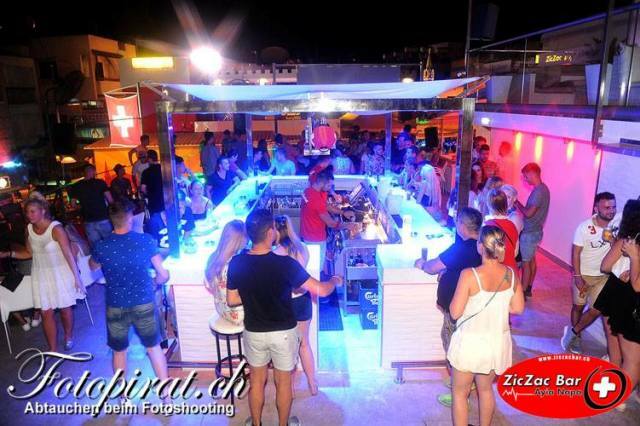 Zic Zac is the most popular bar in Ayia Napa with people from Switzerland and it is open usually from June to September. 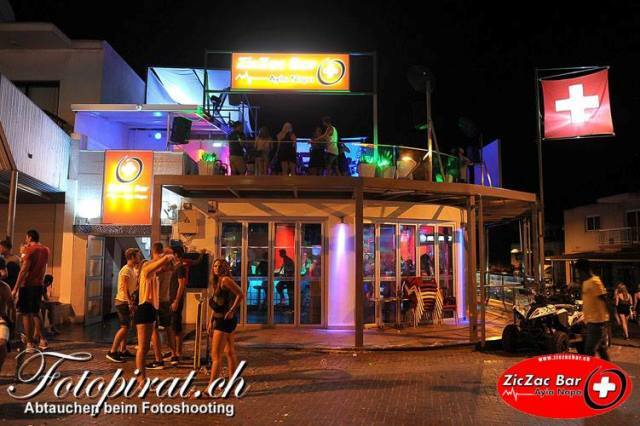 Ziz Zac is open at night times from around 8pm until the early hours. 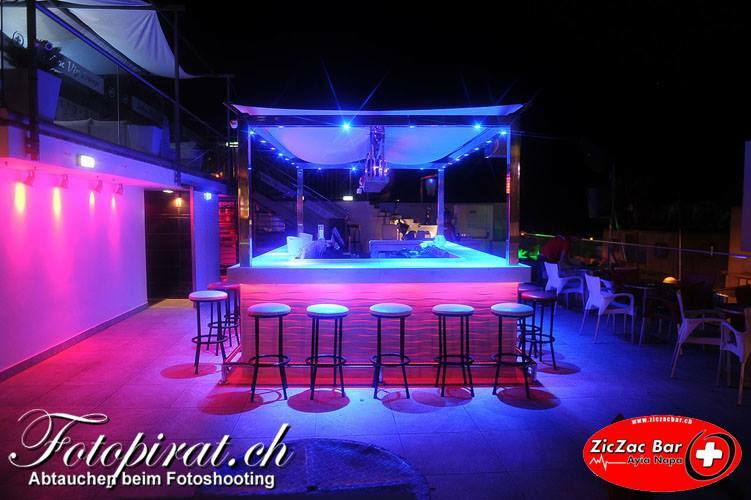 The closest Clubs to ZicZac bar are Aqua Club, Castle Club, Starskys and Soho Club. The closest hotels to ZicZac Bar are Green Bungalows, Pambos Napa Rocks, Myriama, Maria Zintili, and Panmarie. The closest bars to ZicZac Bar are NuBar, Red Square, Tiki Bar and The Bell.